If you can't find Connect To but you can see a Settings option, your Start menu is in "Classic Mode". Click Settings and choose Control Panel. 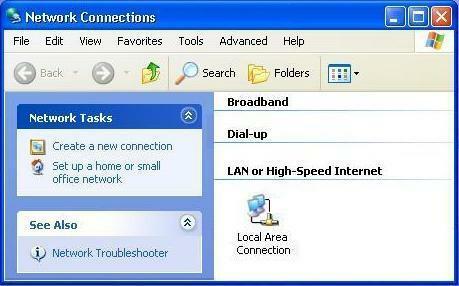 When the Control Panel opens, double-click the Network Connections icon. 3. Right-click on Local Area Connection and choose Properties. 4. In the window that appears click the General tab. 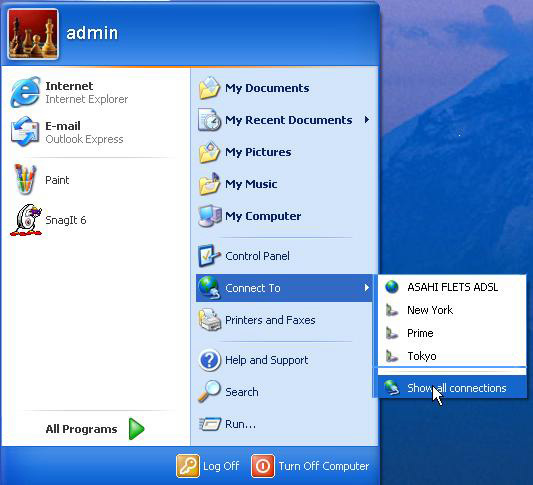 Confirm that the computer's LAN card is listed in the Connect using box. 5. 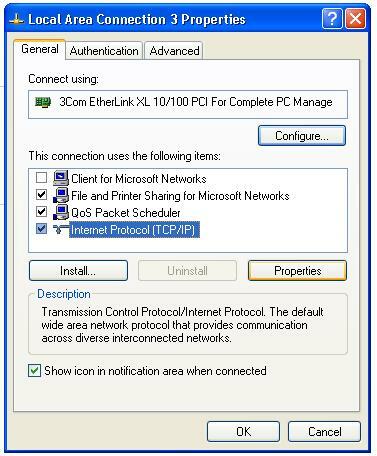 In the This connection uses the following items section, make sure Internet Protocol (TCP/IP) is checked and highlighted, then click the Properties button. 6. Click the Obtain an IP address automatically option. 7. 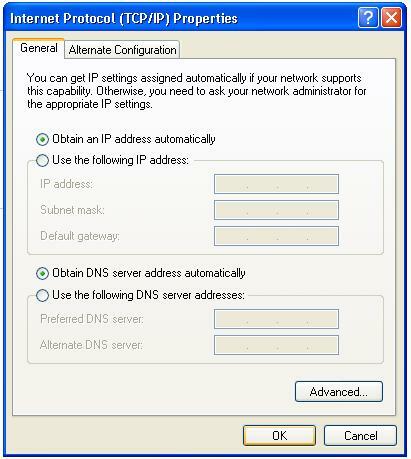 Click the Obtain DNS server address automatically option. 9. 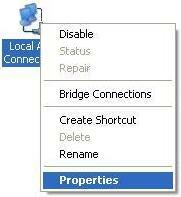 Click OK. You are now ready to configure your router.